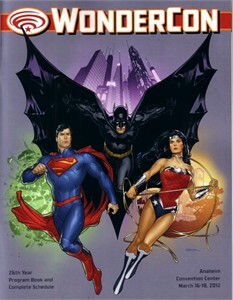 Magazine size 2012 Wondercon program featuring DC Comics characters Batman, Superman and Wonder Woman on the cover. 96 color pages. Has tiny cover dent, otherwise perfect. ONLY ONE AVAILABLE FOR SALE.